With that said, when I was cuddled up under one of my favorite warm fleecy blankets, enjoying a hot cup of tea in the hopes of kicking whatever illness I had come down with, I was reading through some different online magazines and sites that offer up some great workout advice, I came across a piece from Shape magazine's website that centered around inspiration for people to get out of the yoga studio and try to do yoga anywhere and everywhere! They offered up some great photos of people doing just this, and I thought it was a really fun idea. 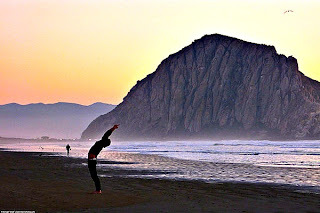 It got me thinking about my own yoga practice and how "in-adventurous" I have been with it -- why do I feel like I have want to go to a studio over bringing my practice with me wherever I go? 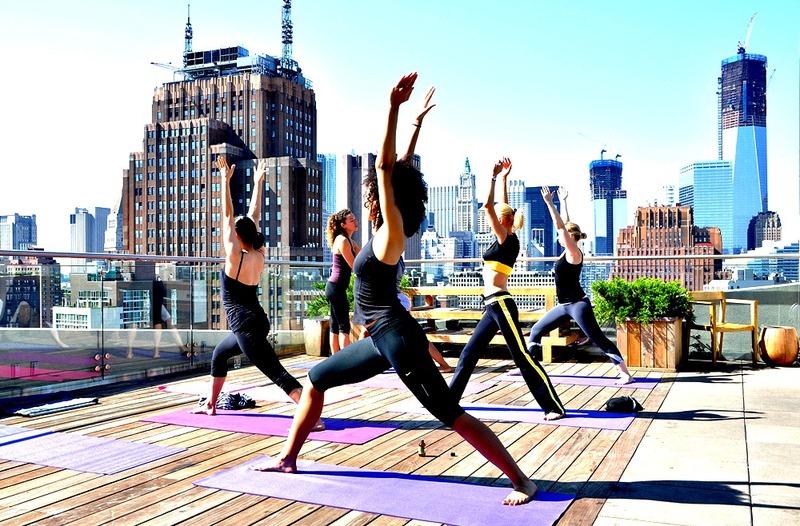 Just a couple of weeks ago I wrote about how I adore doing yoga at home or in a studio, but had heard about an event known as Rave Yoga that I thought sounded so amazing... and yet, I haven't stepped out of my box to try anything new. I know what you're thinking... Carolyn, ease up, you have been sick since you wrote that last post. But still... I want to try and push myself to be more adventurous in my practice and start to get creative with it. 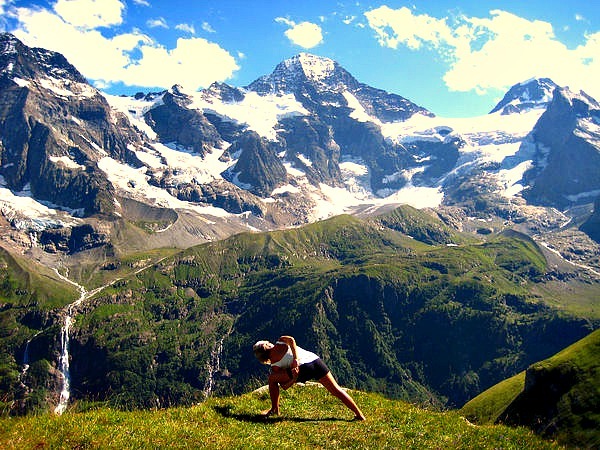 Here are a few pictures of inspiration to get outside of your "yoga comfort zone" and start to spice up your practice a bit. Yoga is supposed to be about unifying yourself with the world, your spirit, and all of our beautiful surroundings, yet I have let myself be boxed in. Not anymore! My mission is to step outside of my own comfort zone and pishm myself to be more creative, daring, and adventurous in my practice. Of course we should do yoga anywhere without using any equipment to make our workout routine interesting and enjoyable. Amazing pictures!! !